The start of project 4 is about ‘making space move’, looking at positive and negative spaces and the impact of different shapes. 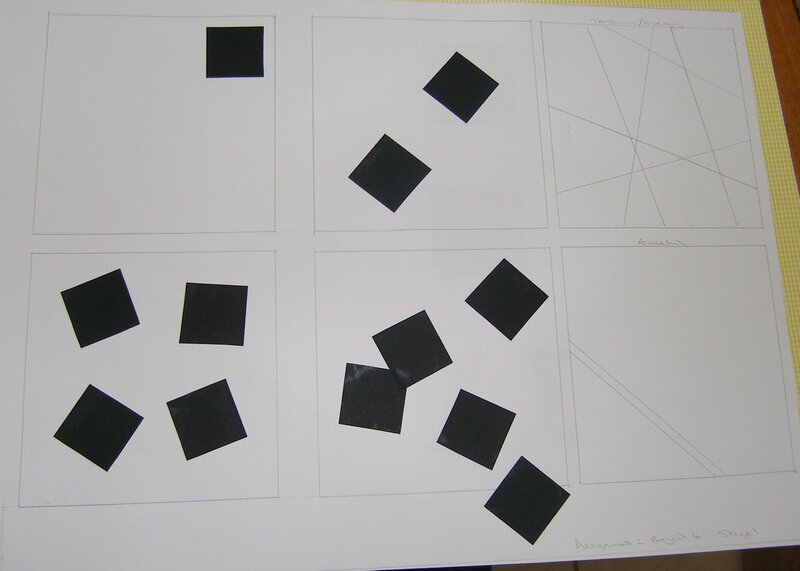 First task is to look at the different effects given by the positioning of squares of black paper, or lines, in a simple blank square. Depending on the position of the square or lines the images can be static or full of energy, can have tension or be dull or peaceful. This is quite a simple exercise but it makes you think about one of the basic questions of design and about how “busy” a piece of work should be depending on the feel and impression you want to create.